The Nebraska Democratic Party and the Democratic National Committee are excited to see over 6,000 Nebraska on April 20th rally for our Omaha and Lincoln city elections! 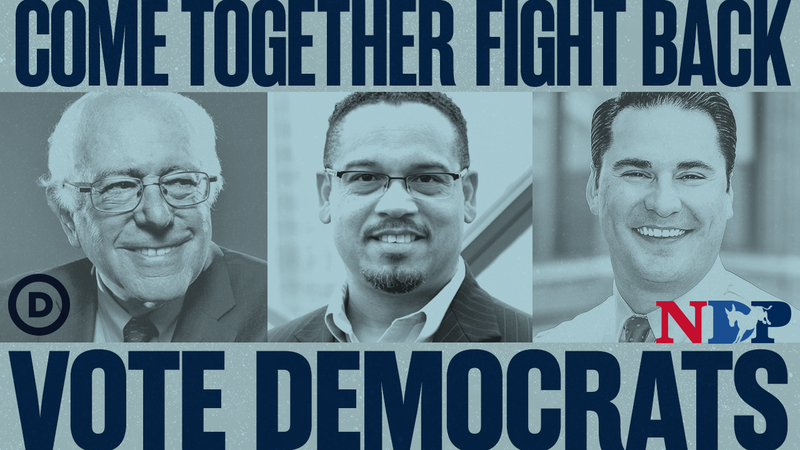 The rally is part of the DNC’s national #FightBack tour! We have some key information below to help make getting into the arena as quick as possible. Press: You must have a credential. More info here. Parking: Baxter Arena has thousands of parking spots on site in Lots 25, 26 and 27. There is also a parking garage across the street and is about an 8-minute walk. Several ADA parking also reserved (more ADA info below). VIP tickets: If you purchased a VIP Floor ticket or volunteered to earn one, you will use the main entrance with your ticket in hand. If you got an email to pick up your ticket, go to the Will Call office open 10am-5pm Mon-Thurs. Then, once in the building, show the ushers your ticket. You will be taken to the VIP roped off area. Once in that section those seats are first come, first serve so get there early to get close to stage! Special Guests, Elected Officials, Union Presidents: All special guests received an email with parking and ticket information. If you did not get this information, please email ryan@nebraskademocrats.org. Register to Vote/ Vote by Mail: Look for volunteers around the arena to register to vote, change your party affiliation or to apply to vote by mail. T-Shirts, Buttons, Yardsigns: We will have a t-shirt booth when you walk into the main entrance. We are selling t-shirts, yard signs and buttons! Limited edition Mello and Sanders hair shirts will be on sale! Food: You can not bring food or drink into the arena. There will be food vendors inside to purchase food from. Do Not Bring: Do not bring signs with poles. Do not bring sharp objects. Do not bring guns, knives, alcohol. Free Speech Zone: We welcome people with other ideas. There will be a designated Free Speech Zone to express your views and keep everyone safe. If there are those protesting the event, we encourage those attending our rally to NOT engage with protestors. We believe in free speech. Signs against Democrats and others will not be allowed in the building but are welcomed in the free speech zone. ADA Info: The Nebraska Democratic Party works hard to ensure all of our supporters enjoy the rally. Please see the note below from the Baxter Arena on parking, seating and language interpreter. The Event Services department at Baxter Arena strives to provide exceptional service to all our guests, including those guests with disabilities and special needs. Baxter Arena recognizes the needs of those with disabilities and has met or exceeded the requirements of compliance with the Americans with Disabilities Act (ADA). Baxter Arena provides a full range of accommodations for guests with disabilities to ensure their safety, comfort and enjoyment of all our events. Once you arrive on site, look for the Baxter Arena ushers who can assist you with your needs. If you need a language interpreter, a professional will provide services by Section 114, so please instruct the usher you need to be in this section.